There are various clues, so no cheating please. I will post the blazon on the week end. Per bend sinister Gules and Argent, a cross square-pierced counterchanged between three maple leaves (A.saccharum) Gules. The field is described first (Per bend sinister Gules and Argent), then the ordinary (a cross square-pierced counterchanged), then the charges (between three maple leaves Gules). I'm not sure that "between" is the most accurate characterization of the leaves' locations, but with the rest of the blazon, an artist would be pretty much forced to put the red leaves on the whole white squares. Thus IMHO, using "between" yields the most aesthetically pleasing blazon. Gules doubled Argent; a snowy owl (B.scandiacus) closed guardant proper, holding in her dexter talon a lightening bolt Gules. Fairly straightforward. 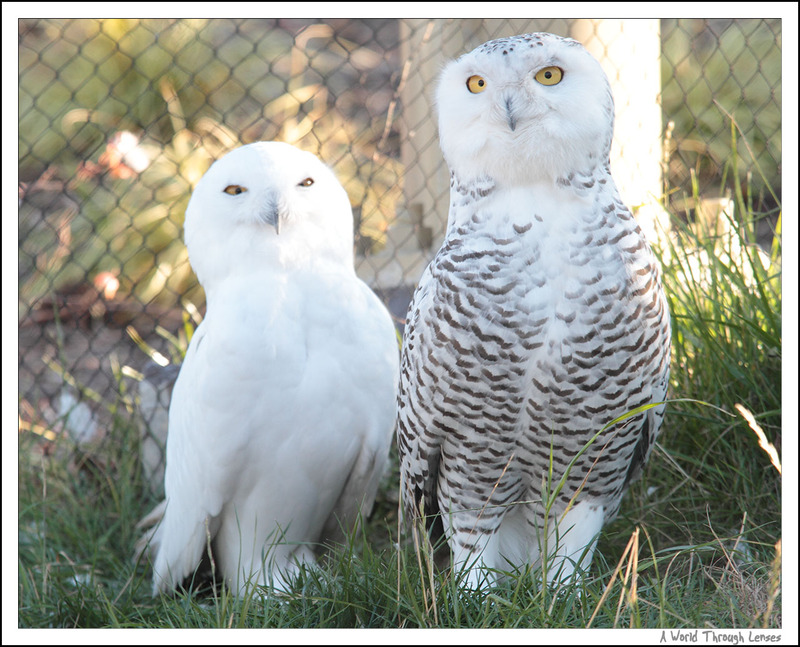 I specified that it is a female because male snowy owls are all white whereas females are larger and have the darkened patterning as depicted in the crest. I don't know if this distinction is important to the armiger. SCIENTIA · SAPIENTIA · CONSILIUM. This Latin phrase means "Knowledge, wisdom, advice". I don't know that I agree with the blazon. What is a Latin Square? Why not just checky of nine? Bend reversed, not bend sinister? That is not universal within the CHA. There are many blazons of bend sinister. Per Wikipedia, "a Latin square is an n × n array filled with n different symbols, each occurring exactly once in each row and exactly once in each column." This particular Latin square has 3 chequers gules, 3 per bend sinister (reversed) gules and argent, and 3 argent charged with a maple leaf gules. The Latin square has some statistical significance, though I'm not sure why the bend is reversed rather than sinister. Good follow-up, Jeremy. Maybe 'reverse' has some secret statistical significance as well. A clever blazon. I also don't understand why they used "bend Reversed" rather than "bend sinister." 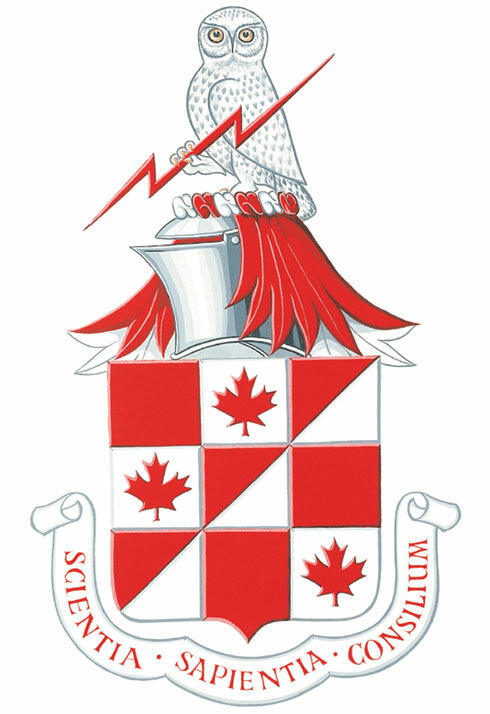 Nonetheless, an interesting bit of history here: http://ssc.ca/en/about/history-ssc/an-i ... at-of-arms.